When I first created Arwens nursery, I wasn't sure who she was going to be. After spending 15 months with her, I've realized her love of nature. I decided to transform her room to offer her a place that made her happy. She loves pointing to the tree and telling me what it is (twee is what she can say) and the closet turned book nook is her favorite spot in the room. 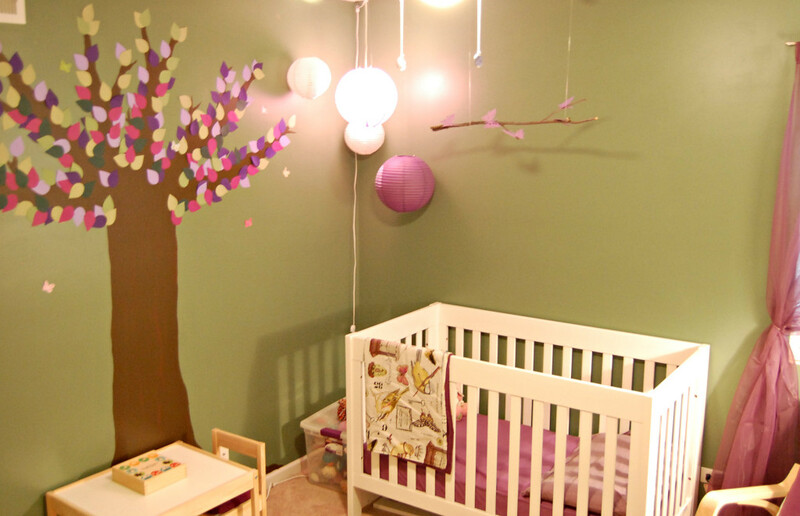 I hand made the blanket for the crib, the seat cushion for the book nook and the tree on the wall. The book nook. It's something that I think she will enjoy for years to come. Awww… That’s so sweet of you to get to know her first before personalizing her room. I help manage a veterinary practice in Chicago and when I'm not helping save animals, I'm with my husband and 1 year old daughter. I've never felt so full being a mom and am so happy to have such an amazing family!